Whoever thinks the 1975 Pampered Menial is Pavlov’s Dog’s first album is wrong. There is an earlier forgotten one. The untitled album and therefor just labeled „The Pekin Tapes“ was recorded in summer 1973 at Golden Voice Studios in Pekin/IL and never released. The band was later signed to ABC records, the Golden Voice Studio burned down and the tapes were believed lost, but 2013 rediscovered. 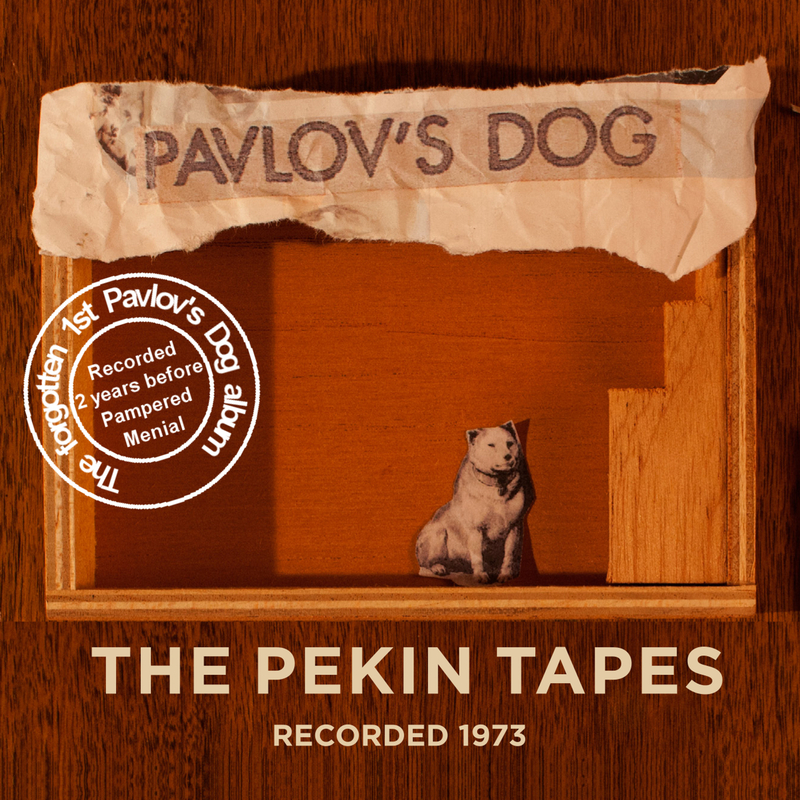 The Pekin Tapes include original versions of songs that were later (in different versions) on Pampered Menial, plus some unreleased tracks not used on Pampered Menial. Especially the original full version of Preludin (7:38 min.) is included here, which was shortened to 1.30 min. on Pampered Menial. The 4 bonus tracks are the earliest known demo recordings (early 1973).